Sample dryer TR500 by SIEBTECHNIK TEMA. 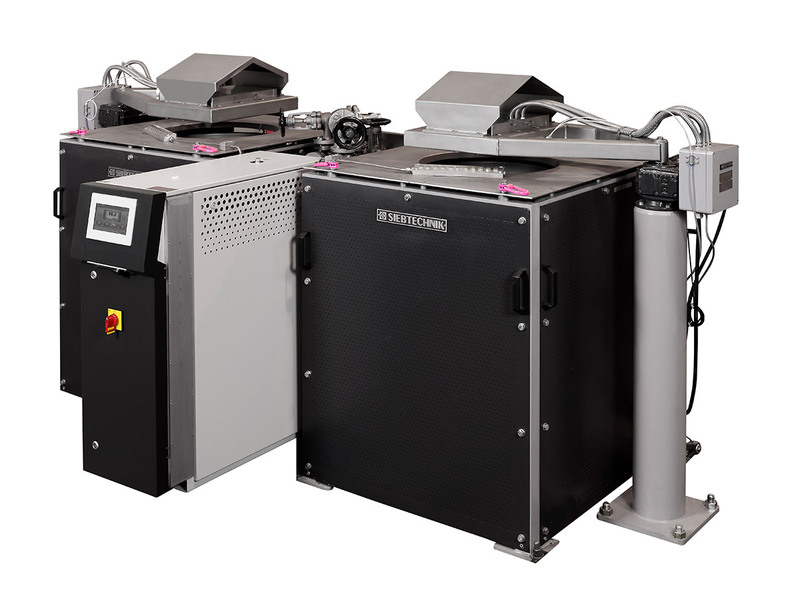 The TR500 sample dryer is used for the chargewise drying of wet bulk materials. Drying of the wet bulk material is done by means of a heating plate that is made to shake by an unbalance motor. The arrangement of the unbalance motor causes the material to be continuously turned over throughout the drying process and so repeatedly presented to the hot plate. Heat is fed to the hot plate by means of thermal oil that is heated up by means of a temperature control unit with a heat range of between 50 °C and 180 °C. The material to be dried is fed onto the middle of the shaking, heated dryer and spread over the heating plate. The dryer is emptied by changing the direction in which the unbalance motor is rotating, so changing the shaking movement and enabling the dried bulk material to be removed.